A perfume can communicate things about us without needing a word, support the way of being and even transmit memories to other people, even fragrances are considered powerful weapons of seduction and for this reason there are many myths that revolve around perfumes, The truth is that it never hurts to meet them so that you can make the most of it and leave your own trail wherever you go.1.It is customary to smell perfumes in your hand or in a small cardboard, does this really work? What are the best choice and the reason? This is a very good question. What we always recommend is to identify one or two fragrances that you like very much using the blotting paper. Once the customer identifies the one they liked the most, it is important to try the fragrance on the skin, starting with the cream and then the perfume. This, since the PH of each woman, is different and for this reason, the aroma of the perfume changes. 2.How long should you wait to really feel like a perfume on your skin? To really feel like a perfume, we need to wait about 10 to 15 minutes, that is the secondary notes that are the heart of the fragrance. This means that all perfumes have three notes or levels, the predominant ones, which are the first impression given by the perfume last between 10 to 15 minutes on the skin. The secondary, which are the notes of the heart of the fragrance are the dominant ones that begin to perceive approximately 30 minutes after the perfume has been applied. 3.Why does the same fragrance smell different in each person? This depends on several things, each has its own “aromatic identity”, which influences the evolution of a perfume on our skin. Genes, the chemical composition of the skin (dry or fat), food, medications, stress level, PH, mood, feeding and skin temperature influence this identity. For example, at great heights, fragrances are lighter or less noticeable and have a shorter duration. So I recommend making the superposition to last the fragrance more. 4.What does it take for a perfume to last a little or a lot when we use it? The perfume will last longer if we first use the cream or lotion of the perfume. The application of the cream not only helps us to moisturize and moisturize our skin but also makes the perfume “stick” more. Other factors that influence are the skin type (the dryer the less hard the perfume) and the PH. 5.As in fashion, are there trends in fragrances? Beauty, like clothes, is part of the fashion industry. Today, a woman has between 5 to 6 perfumes on her dressing table. 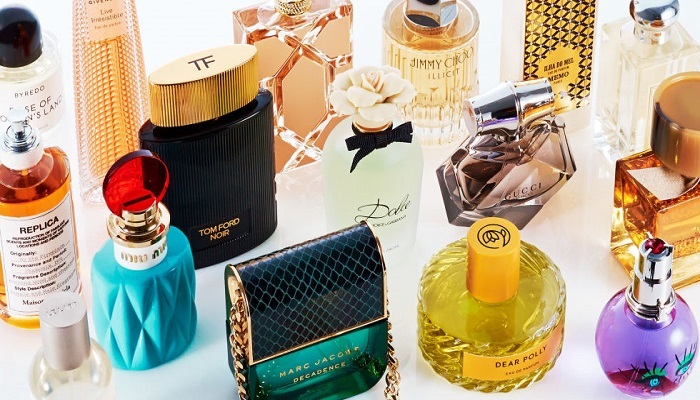 Perfumes are that final touch to your outfit and personal style. For example, women of the Victorian era preferred floral aromas and a single note. Today, women prefer more complex aromas and make them feel unique, modern and safe. 6.In what part of the body does a fragrance “look better” and what is the reason? In the pulse zones, where the skin has a higher temperature and there is good blood circulation. The heat of the pulse points helps to propagate and amplify the aroma of the fragrance. As additional advice, remember that fragrances go up, apply the fragrance on the points of the ankle and behind the knees and you will see !. 7.Which is the first fragrance that should buy someone who is not very fond of perfumes? A glamorous fragrance that has fresh fruity notes like passion fruit for a fresh and vibrant feel.